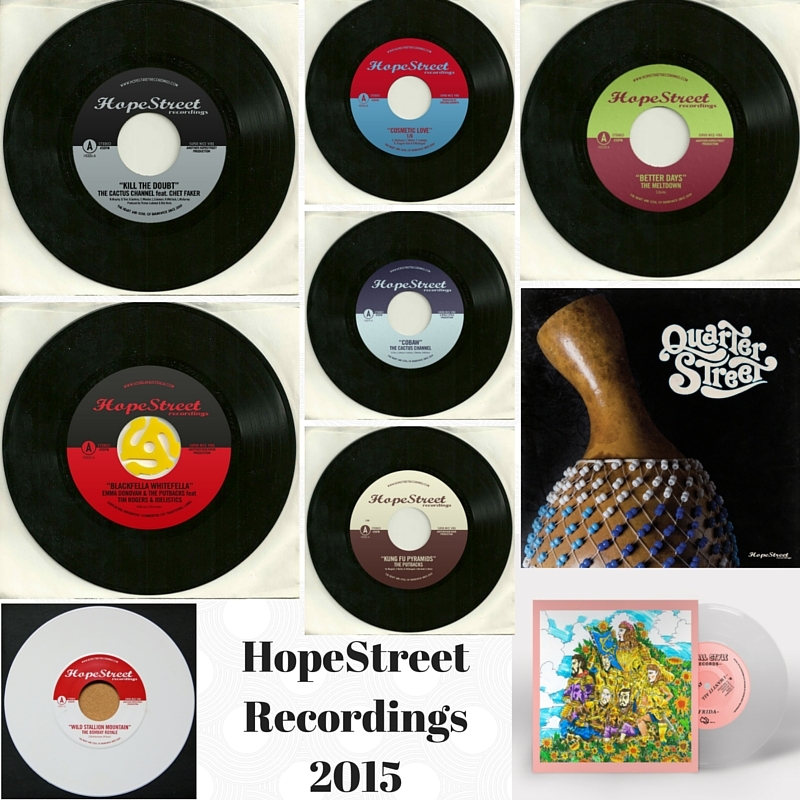 It’s been a massive year for HopeStreet with the expansion of our team, the launch of our imprint label Wyall Style, a big handful of 7-inch releases and one super funky Salsa record. With the holidays around the corner we’d be lying if we said we weren’t looking forward to a little break, but all in all it’s been an extremely satisfying year working alongside our artists. Our first split collab joint features MC One Sixth on a funky afro groove with the B-side featuring The Public Opinion Six on the same tune, with percussoinist and singer Lamine Sonko fronting. Literally only a couple of these left – get them here. Slick country-fried soul done right by The Meltdown. Led by singer Simon Burke, these dudes play solid tunes à la Ray Charles and Eli Paper Boy Reed with a killer rhythm section. Grab the 7-inch here. Our favourite psychedelic bollywood funk/soul/surf superstars released this funky white 7-inch this year. It accompanies a crazy video of desert horse fuelled psychedelia. Grab the few limited white 7-inches here. Super solid Salsa Dura done right by Melbourne’s hardest working Latin band Quarter Street. Compared to the likes of Ruben Blades and old Fania recordings… get your copy now! As we mentioned above, we started an imprint label called Wyall Style Records. Run by artists behind The Cactus Channel and Frida, this new label is bringing you music with just as much heart and groove, but through a different set of glasses. Frida explore dark and lo-fi pop soul with their first 7-inch release. Grab it here. An extremely important record for Australia, this collaboration between Indigenous artists Emma Donovan, Archie Roach, Tim Rogers and Joelistics is handing over all proceeds to SOS BLAK AUSTRALIA to raise awareness and funds to help Indigenous people who have been forced out of their home. Support it here. The first and original HopeStreet band. These guys brought you our first 45, and they’re back to bring you a record that cooks hard. Kung Fu style. Only 10 left… be quick! This entry was posted in Uncategorized and tagged 45, 7-inch, archie roach, emma donovan, frida, hopestreet recordings, joelistics, LP, public opinion afro orchestra, public opinion six, quarter street, records, the bombay royale, the cactus channel, the meltdown, the putbacks, tim rogers, wyall style.